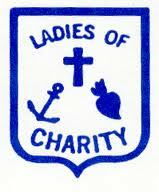 Ladies of Charity improves client’s financial stability through their local emergency assistance program. Financial support for utility deposits, payments, or rent payments while also providing the household member’s nutritious food items will improve their long term success of maintaining shelter and avoiding homelessness. Unemployed individuals will receive public transportation passes for seeking or keeping employment.